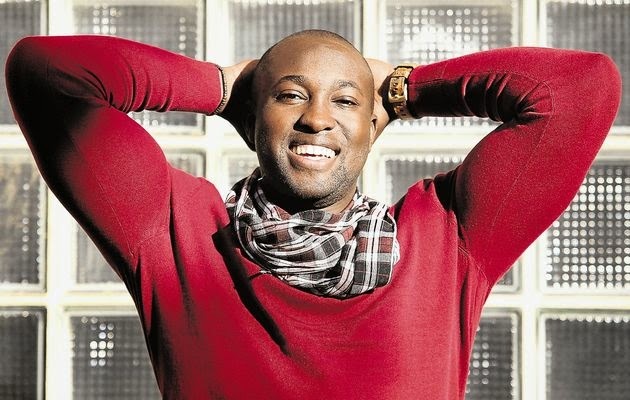 Simba Mhere's family in pain over unanswered questions. Home Feature Articles Trending News Simba Mhere's family in pain over unanswered questions. Johannesburg - On 31 January Top Billing presenter, Simba Mhere was killed in a car accident on William Nicol Drive north of Johannesburg. In the car with him, was his best friend, Kady-Shay O'Bryan who also lost her life, and Simba's father Joseph. Now, more than two months later, Simba's family are trying to pick up the pieces after their tragic loss. As they struggle to come to terms with the death of their son and brother, the Mhere family are also an angry one. With zero communication on the case against the driver of the car that smashed into Simba's vechile, the Mhere's have been left with many unanswered questions: why were blood tests not conducted on the driver of the car, why have no statements from witnesses on the scene been taken and why, despite public promises, has the driver not been charged with culpable homicide? "It's funny because they say time heals. I'm not sure that's true. I'm getting worse. I struggle to sleep at night... I'm afraid of the night. I'm afraid of walking around where Simba used to be," Valerie tells us. 69 days. That's how long Valerie hasn't had her brother. It's longer than usual, she says. You see, Simba's job as a Top Billing presenter had him travel locally and internationally, very often for extended periods. But every time he came back home and things would go back to normal. Val would have her big brother back and soon they'd be making homemade music videos or having a lip-synching battle. This time is different. And almost daily, Val has to remind herself that Simba isn't coming back. "We try and keep ourselves busy during the day. That's the only way to work through the pain - distract yourself so that you can't think about it. It's the nights that are the worst. Then it sinks in: Simba is not just in Cape Town or overseas somewhere. He is not coming back. He will never come back. It's a struggle... a struggle we face every day." 69 days. Much of those days have been a blur to Valerie since she lost Simba. But the details of 31 January are very clear. Val was at a church camp, about 15 minutes away from her family home. She was woken up by a friend and told to get ready. "I was asleep and my friend told me to wake up. That we needed to go. I was confused. I walked out and my best friend was at the entrance waiting. That's when I knew that something was seriously wrong. But no-one was willing to say anything... just that I needed to get home. I got home and there was no-one there. The house was completely empty, which was confusing. The doors were open and my mom's room was a mess - there were just clothes everywhere. I phoned my mom and she could hardly speak... it took a while and eventually we managed to get 'Edenvale Hospital' out of her." Val and her friend immediately got into the car and headed towards the hospital. It's about a 45 minute drive from the Mhere house, but just a few minutes later, Val got the news. "My mom phoned and asked me to pass the phone to my friend. I did and that's when I heard 'Simba is dead.' I turned around and said "Did she just say my brother is dead?" They didn't know I could hear and I lost control. I bashed the window, the dashboard... it was a lot to deal with. I was very emotional." It's common knowledge that Simba and his family were very religious. They are staunch members of Rhema Church and their faith in God was on full display during funeral and memorial proceedings. At the time, Simba's father Joseph, who was in the car on that fateful day, praised his son and said it was God's will that he had been taken. As time goes on, Val says her dad is still sure of the fact that it was God's will, but is questioning why. "I think at the funeral he felt like he needed to be strong for my mom and I. But he is also struggling. My dad has been in six serious accidents, all of which should have cost him his life. And now, this last accident cost him his son's life. He feels 'why take Simba, when you could have taken me.' My dad's priority is his kids and I think he questions what is the purpose of life, if he can't do what he needs to for his kids. It's a struggle..."
Yet, it's her faith that is helping Valerie and her family. She became a 'believer' in 2013 and credits her faith for keeping her strong. "I wouldn't have been able to deal with this had I not been a believer. If you think about it, Simba's car was one of the only cars on the road that morning. It was God's will. Also, the support that we got was incredible.  My family was not doing well financially and I often think that had it been me, they would be in so much debt right now. But because of the person Simba was, we have been supported financially and emotionally." Just days after the accident, police officials boasted that a case of culpable homicide had been laid against the driver of the other vehicle. Officials were quick to say that the long arm of the law would be in full effect and promised that justice would be served. But 69 days later there are still no answers for the Mhere and O'Bryan families. "There were no blood tests taken on the day of the accident. The driver of the other car had no injuries, but he was taken to hospital and that was the end of it. No statements have been taken from other witnesses and we haven't heard a thing since the day of the accident." Just a week ago, police said they were still in the process of investigating the case and gathering statements. But the Mhere family say there have been whispers of a deal between the driver and the NPA. "We want closure. There's a lot of speculation and no communication. After I heard that the driver was a young guy, I thought that I didn't want him to go to jail. That he is young and made a mistake. But now, as time goes on and we hear talk of deals being struck without us being consulted, I do feel like there's no justice." Initially, Simba's family were told that the driver wanted to meet with them to apologise. As a family they discussed it and eventually decided that they would welcome the apology. But that idea was quickly dismissed and they haven't heard anything since. Valerie finds herself in a conundrum. While she wants to mourn her brother and not waste energy on being angry, the lack of justice is a bitter pill to swallow. In the meantime, navigating through the darkness, Val is trying to remember the good times. "We shared a passion for sport. Simba was my biggest supporter and always cheered me on. And he loved shopping. He was more extreme than me... really, he could spend 30 minutes in the change room trying on a shirt," she laughs. It's the first time we get a glimpse of happiness from Valerie.